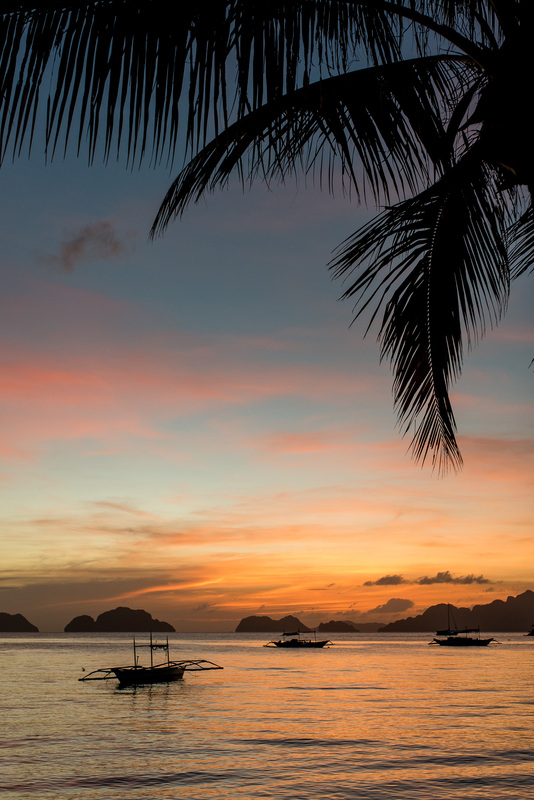 El Nido ticks all the boxes: dreamy blue waters dotted with dozens of limestone islands with stretches of white sand beaches, steep karst cliffs, caves, colourful marine life and reefs waiting to be explored. 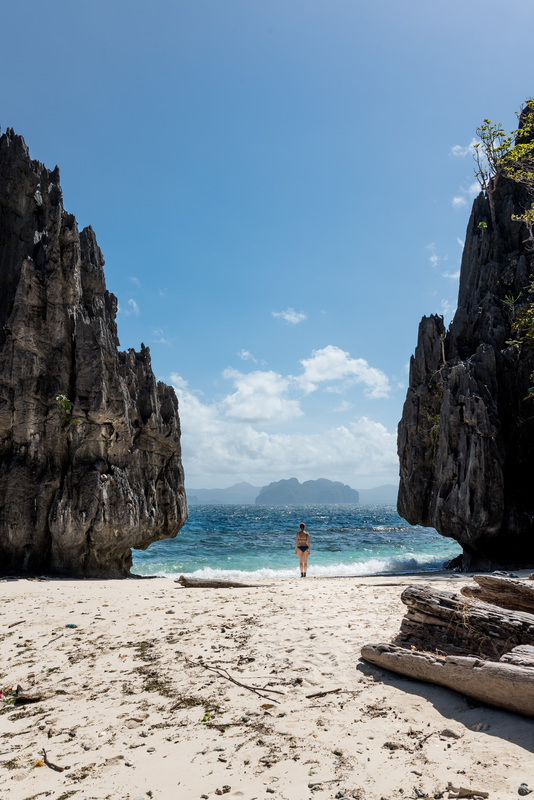 It’s no wonder the Philippine archipelago of Palawan has won the prize for “best island in the world” three times in a row. We hope the pictures below will confirm this well-deserved award! We booked a private boat for tour A through our hotel. The boat first stopped at 7 commandos beach, as did many others, which made the otherwise pretty beach a bit crowded. Then we set sail for Simizu island, where the crew prepared us an extensive menu: fish, clams, eggplants, other veggies, rice and lots of fruit. 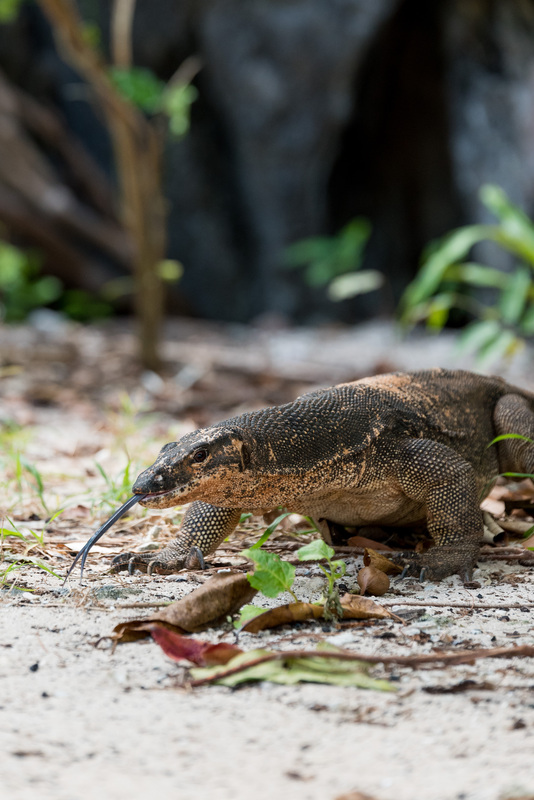 For a second I thought we were back at Komodo island when suddenly two monitor lizards joined us for lunch! 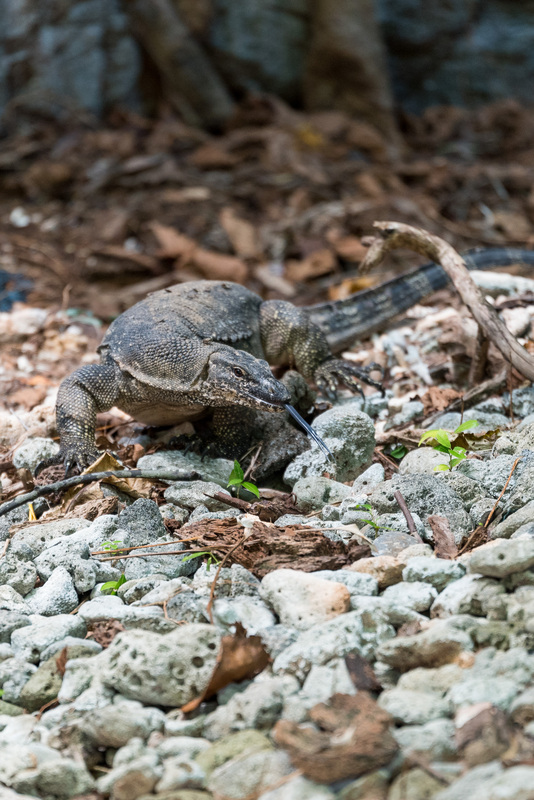 Although they are not as big as the famous Komodo dragons, we were still amazed by their presence! Do not eat too much, cause at the next stop you need to crawl through a small crack to reach the Secret Lagoon… Afterwards the boat took us around the Big Lagoon and made one final stop. 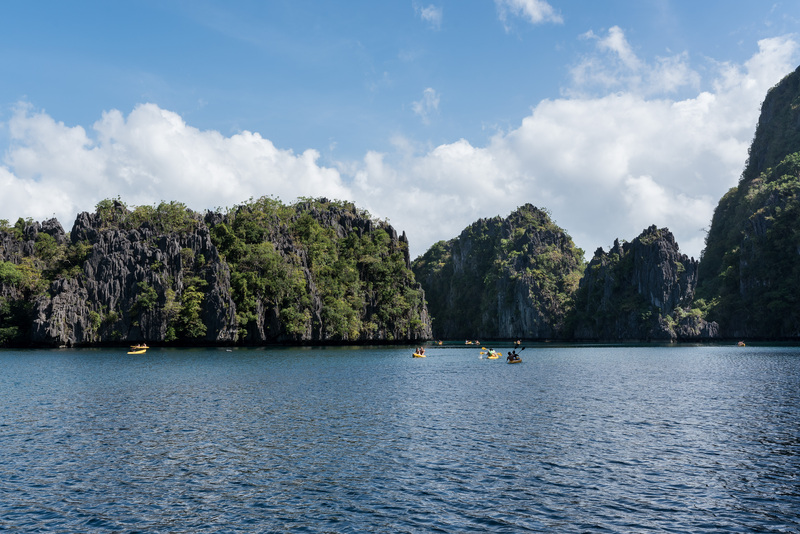 We hopped into kayaks and, one by one, paddled through a tiny hole into the Small Lagoon. It was fun to explore the lagoon by yourself, but the huge amount of kayaks sometimes caused traffic jams, especially when you try to get out again! 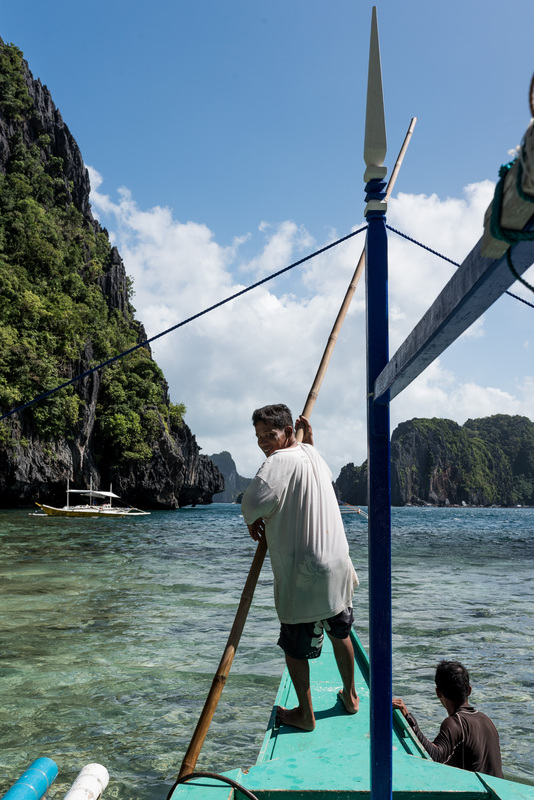 During tour C we didn’t actually visit Matinloc Shrine itself, but dropped anchor a little further to admire what’s beneath those alluring blue waters. 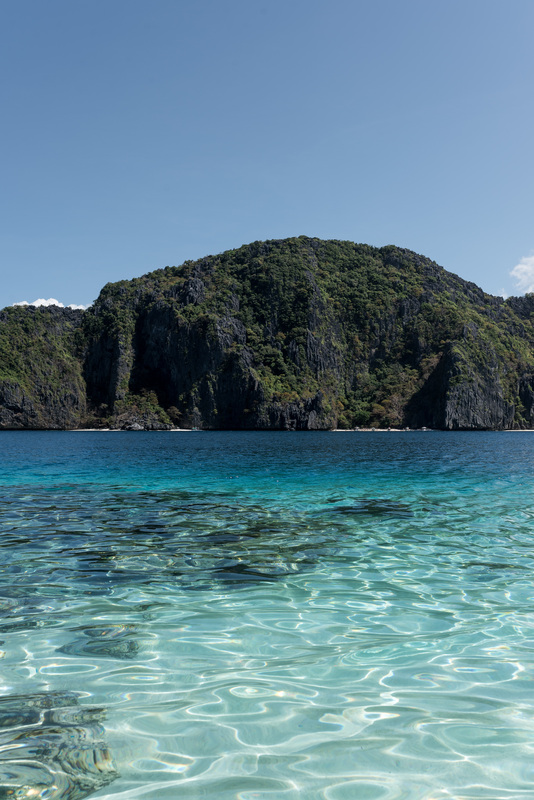 Snorkelling increases your appetite, so we stopped for lunch with a view on the white sandy beaches of Tapuitan island. 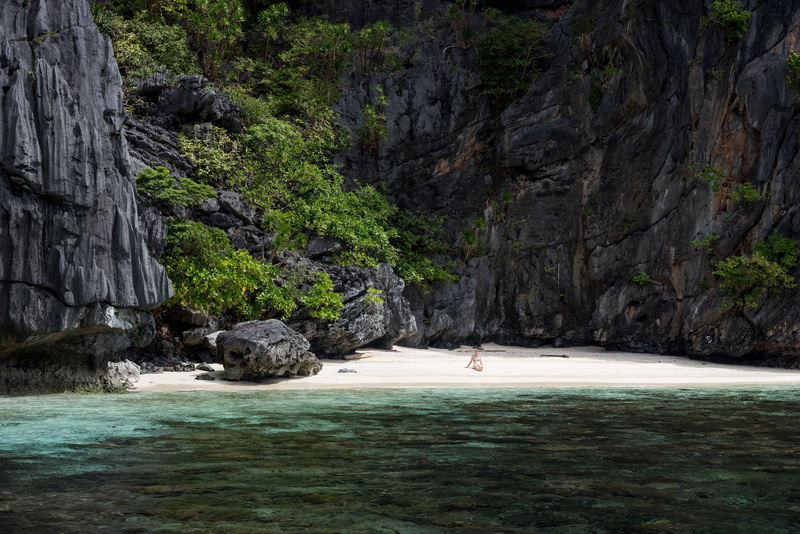 Wait for low tide to enter Secret Beach by swimming into a cave which leads to a secluded bay with its own white strip of sand. When not too crowded, it is drop-dead gorgeous! On the way back we passed by Helicopter island. You’ll soon know where it gets its name from by looking at it. While the views on this trip are to die for, the stops you visit are quite far. Bear in mind when booking this trip that you’ll spend more time on the boat than during tour A. 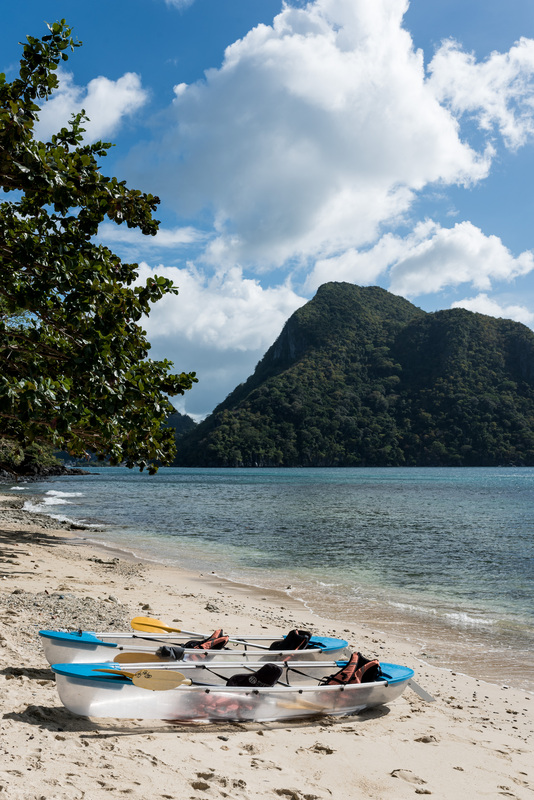 At the El Nido Boutique cafe you can rent kayaks to head out by yourself, if weather permits. We thought it would be fun to hire the see-through clear kayaks, until we were out on the water. How heavy are those?! And frankly, also a bit scary? Since the water below you is pitch black when out on open sea. In Belgium we are only used to kayaking on very easy rivers. Well let me tell you my fellow Belgians, kayaking on the Lesse is nothing compared to this! 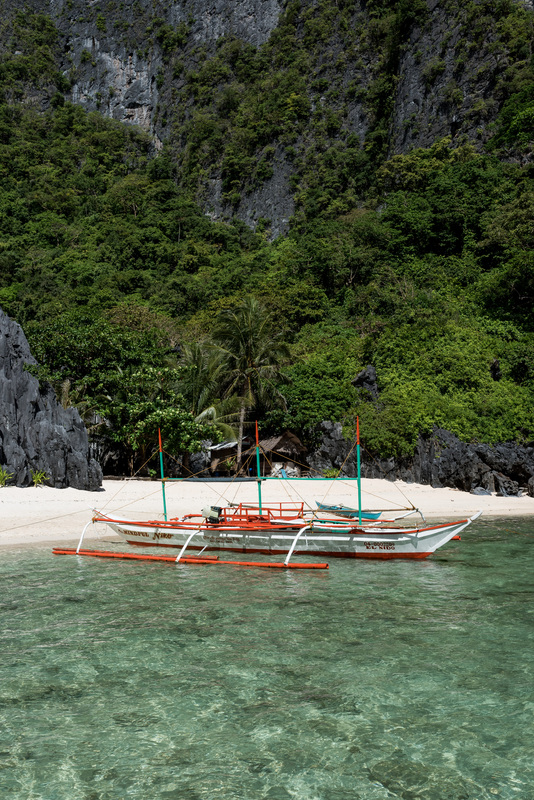 But it turned out to be a funny experience when we raced to Cadlao island. I have to say, that 30 minute workout is totally worth it! 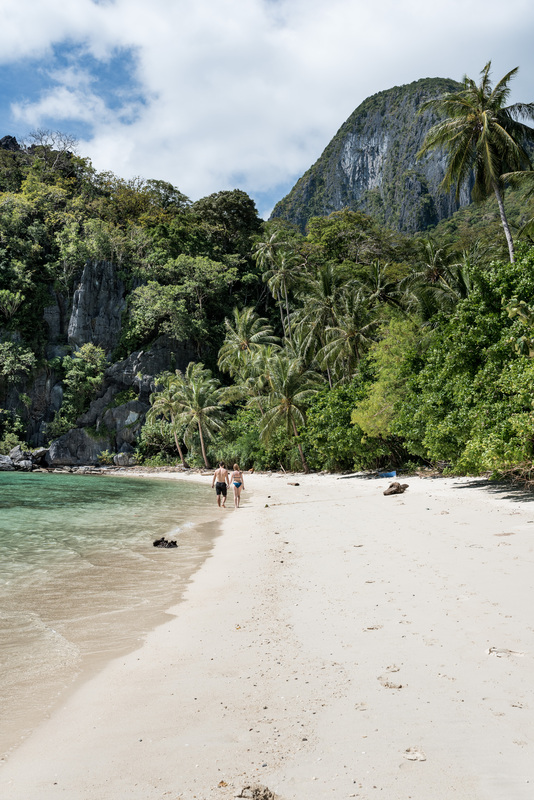 There is a reason why they call this Paradise beach… and it felt even more so because we were the only ones there! 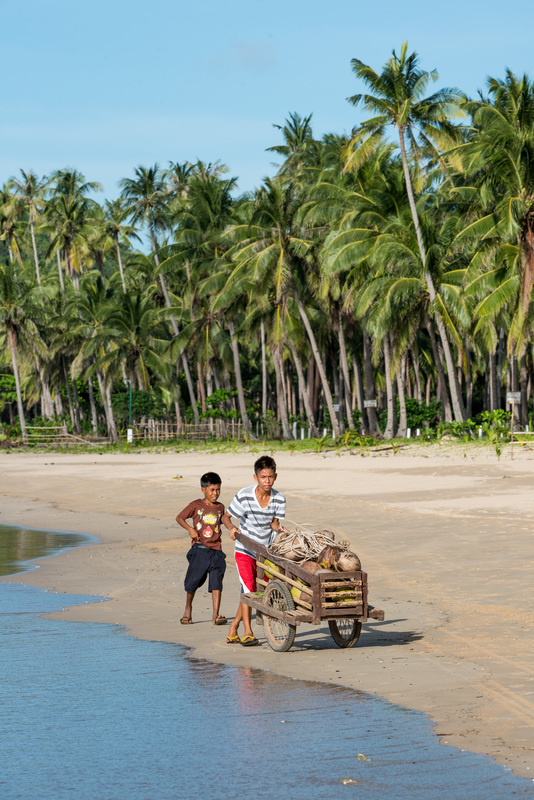 Although it was difficult to leave paradise, we paddled a bit further to Pasandigan cove for a well-deserved buko. 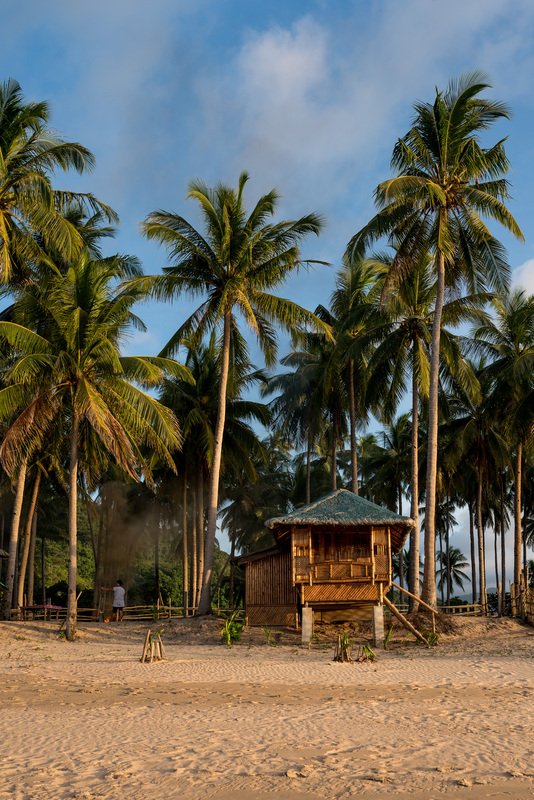 Rent a scooter and head to Nacpan beach for endlessly long walks or watch the sunset at Corong Corong beach. We flew from Taipei to Manila with Cebu Pacific Air. Upon arrival we changed terminals and shortly after our domestic flight with AirAsia took off to Puerto Princesa (Palawan). 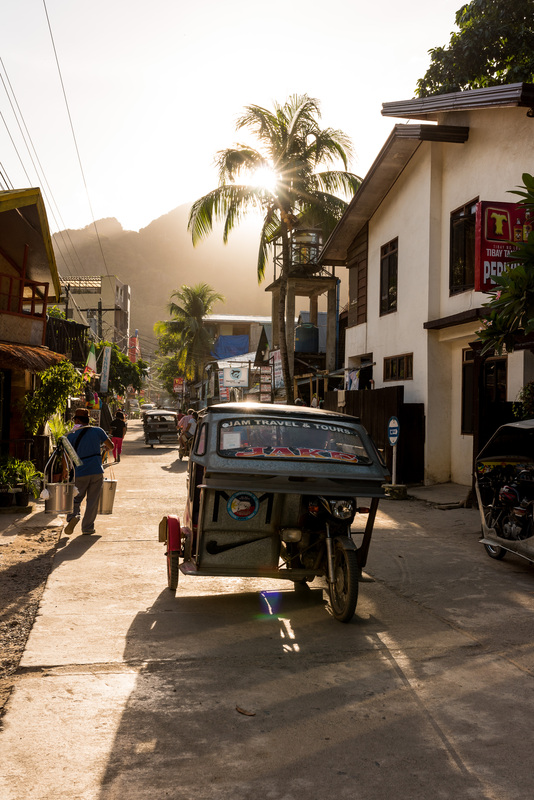 We stayed the night in Puerto Princesa and arranged for a mini shuttle bus with Camarih to take us to El Nido. 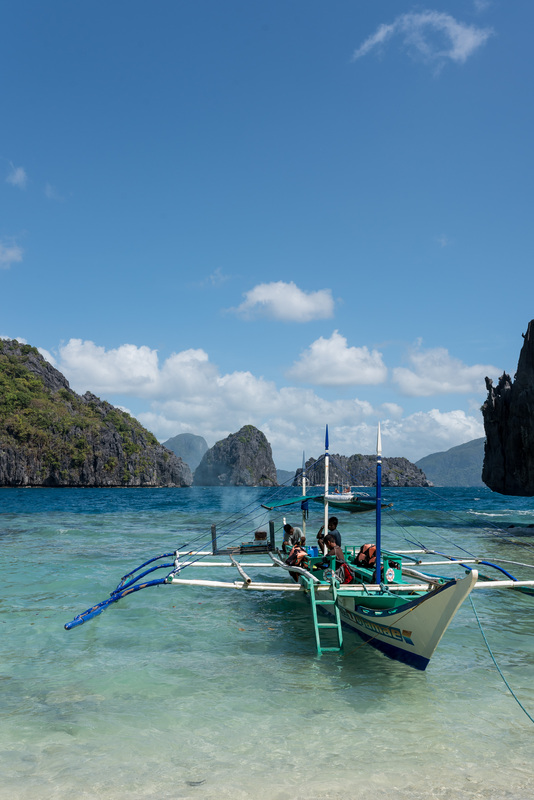 It took about 6h to get to El Nido, with some stops along the way and a local lunch. The shuttle van does pick up other people at different hotels. We were lucky one couple didn’t show up, because I had no idea how we would have managed?! They do tend to pack the vans to the fullest. 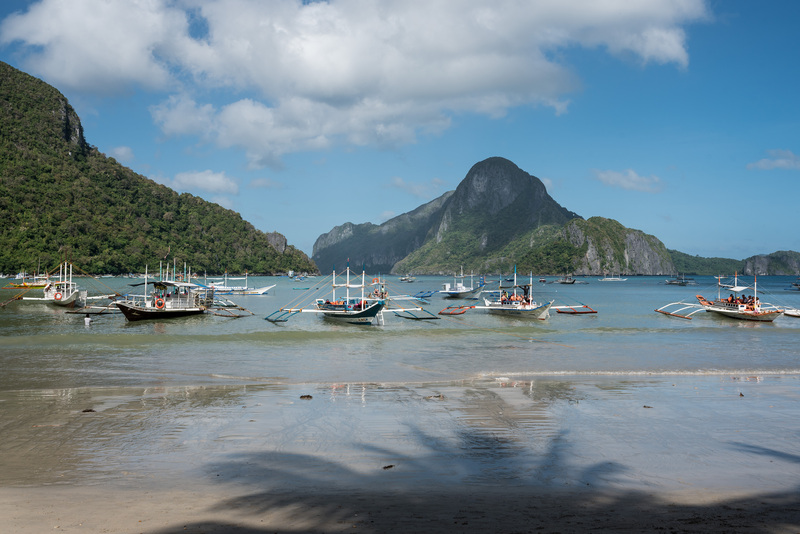 El Nido itself is quite small and you will see lots of companies selling island hopping tours, which is the main thing to do here. Everyone organises the same tours, which are very inventively called: A, B, C and D :-). 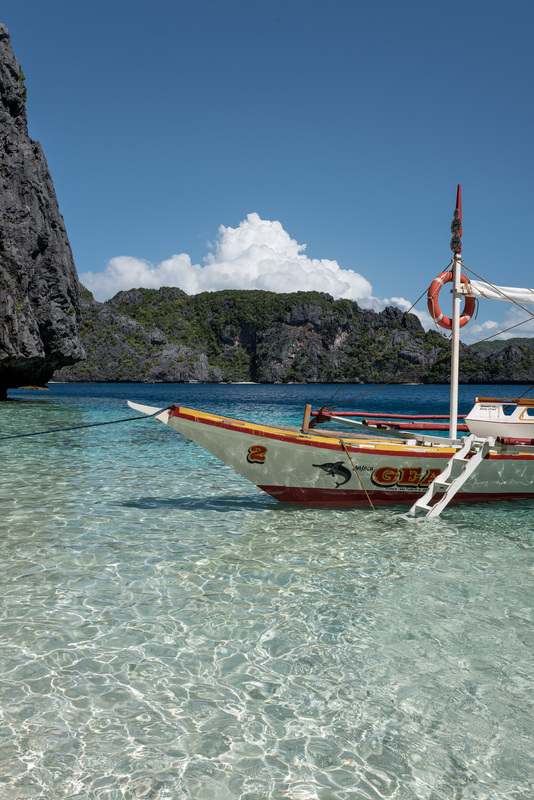 Each tour explores a different side of the archipelago. 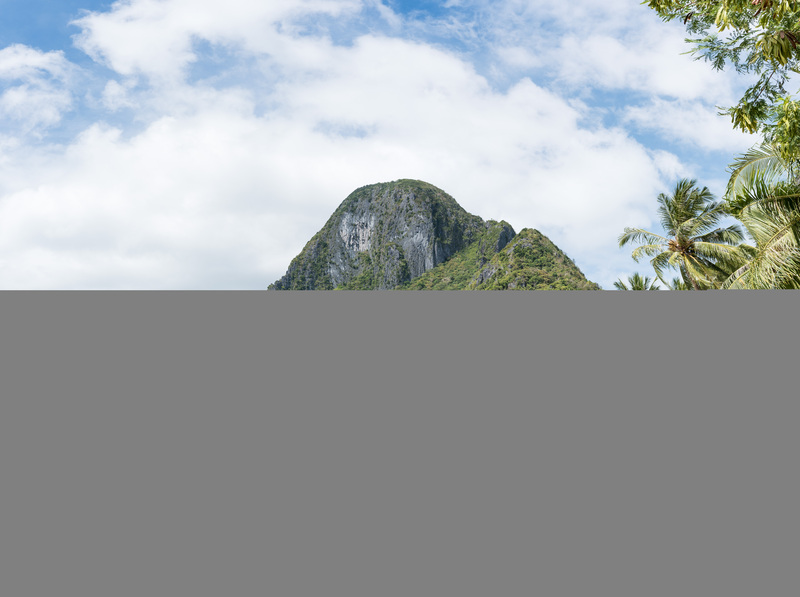 Tour A: 7 commandos beach, Simizu island, Secret lagoon, Big lagoon, Small lagoon. At the time we payed 5000 PHP for a private tour with 4 persons. Tour D: Kayak tour of Bukal island, Ubugon Cove, Nat Nat Beach, Pasandigan Cove, Paradise Beach. Kayak: Don’t hire the clear ones: they are heavy and you have better views when snorkelling. Also, put your stuff in waterproof bags. Tours: Ask your boat to do the tour in the opposite direction, in order to avoid the crowds at every stop.